Lochan teas sent some samples of different producers' teas, related to them functioning as both a producer (at Doke) and a reseller. Many thanks for that! I reviewed their own Doke black fusion tea a month ago; just exceptional, quite unique. It goes without saying that all the Darjeeling plantations make lots of different batches of tea, and that lots of factors vary how each turns out: plant type, growing lot location, sun exposure, rainfall, local drainage affecting water availability, harvest time and conditions, processing variations, etc. I wouldn't think these two versions could really be indicative of all the versions both produce, because it wouldn't work that way. Then again I know about as little about Darjeeling production as anyone else, but all that is near enough to just being common sense. Vendors provide descriptions of different teas to provide more about those details, and pricing indicates where they stand in relation to other versions, more or less. Both have bright, fresh, sweet characters based on scent, different in appearance and smell, but I'll start the review with tasting the brewed tea instead. Straight to it then. The Jungpana is pleasant, bright and complex, with a lot of complexity. There is an edge of astringency I've not been used to from drinking Gopaldhara teas for awhile (not sure why those have been as smooth as they are; it wouldn't seem that would relate to just one factor). It's not "off," definitely not a bad tea, it just has that element that one would take into account in brewing, which is half of what I'm picking up in this infusion. That structure and feel help shape the experience. The rest of the aspect range is sweet and complex, floral and citrusy with more going on than that. The Giddapahar has some of the familiar character from drinking Gopaldhara teas, perhaps from sharing the tea-plant type origin, AV2. It's smooth and round (not a standard tea term, maybe, but it sort of means something to me), complex, sweet, and very fruity. The fruit tones are close enough to juicyfruit gum, bright and sweet. In the last review of a Gopaldhara tea I compared it to yellow watermelon; not so far from that. 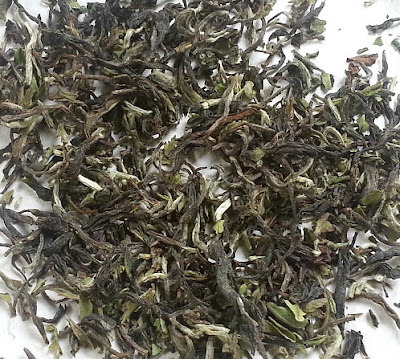 It's a soft, rich, tea too, not challenging in any way related to astringency. Mind you some people could see that edge as a necessity, as a compliment to the brightness and sweetness, to round out the experience, as some describe liking the bite of astringency in some Dan Cong. I'm not attached to astringency in Darjeelings, but then I'm mostly an oolong drinker, and prefer softer, complex black teas, Dian Hong and such. I suppose liking other AV2 based teas might have set up some bias in preference towards those. I'm tempted to guess how good this Giddapahar tea is compared to the last Gopaldhara. That's not really fair to either, since I'm tasting it across time (not that long though), and the styles are likely to vary a little, which might be what I would be judging, relation to preference versus how objectively "good" each is. It's similar enough I might leave it at that; they're not so different. That last Gopaldhara version seemed a favorite of what I've tried from them, just outstanding in aspect range and balance, so it's not fair to judge this one against that tea for that reason too; it matched my likes especially well. Brewed quickly, so a bit light--in more of a Gongfu style, the page I'm on these days, even for teas Western style would work just fine for--the Jungpana is better than it was the first infusion. There's a lot of taste so a light infusion still works well; it's still sweet and complex, and very clean flavored. The tea shows a nice "round" effect in this aspects balance. I'm not having luck splitting the taste range into parts but it has complexity, fruit and floral tones, all quite integrated. There's even a creaminess to it, in the feel and the taste. The Giddapahar is even better in the next infusion. That first taste seemed quite like pineapple; not the flat, lifeless character in canned pineapple, the lively, complex, citrusy and bright version in fresh pineapple (of which there are lots of types, that vary quite a bit). I remember living in Hawaii bringing fresh pineapple to a grad-student outing where an Austrian friend tried that for the first time, and she just marveled at it, as if her world had changed right then. It really can be that good. I was slightly addicted to drinking fresh pineapple juice when I lived in Honolulu and it's quite like that. Related to the immediate novelty of the experience I could drink a lot of this tea. Sometimes when you taste a novel aspect it's hard to isolate it, and it could be different things, or a combination, and later a definition occurs to you, but this just tastes like fresh pineapple. Next infusion: these are both really nice teas. The Jungpana is suffering a little in comparison but it's not at all a so-so version of tea, it's fresh, bright, complex, and sweet. It has a little astringency going on, mellowing out a bit related to that, a version that's like the mild bite if you taste a fresh tree bud (anyone?). It's vaguely along the same lines as Dan Cong astringency, just different, not that. That aspect is nothing like CTC black tea at all, a little closer to a green tea astringency, but not really that either. At any rate it falls back into being a supporting element brewed lighter and works well enough that way. The Giddapahar is very round and approachable, just as complex related to flavors, and just as sweet. That one "pineapple" aspect in the Giddapahar still really stands out too, a nice surprise. It fades back a little on the next infusion, falling into a more integrated role along with other aspect range, seeming less like pineapple presented in that way. The tea is still nice; I wouldn't be surprised if it brews a number of additional infusions without drifting towards any less of a positive balance. I could do a lot more with breaking down aspects and describing further transitions but that's pretty much it already. 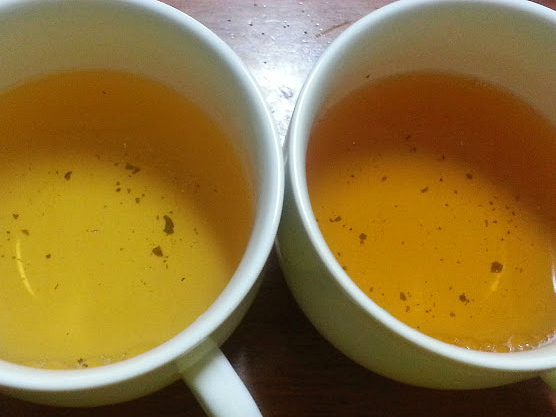 Both are nice examples of first flush Darjeeling, nothing like black tea, light and fresh, mid-level oxidized but not like an oolong either in a few different ways. 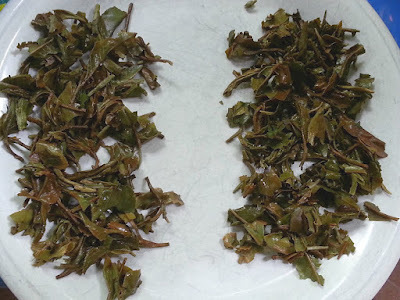 It just came up in a discussion how a lot of the same adjectives work for first flush Darjeeling and Taiwanese high mountain oolong--aspects are floral and mineral intensive, both can be "rich" in feel in different senses--but the teas themselves don't match. There's a problem there with specifying characteristics at the finest level of detail; it's hard to break down floral and mineral far enough. Spice range or other food-related aspects are easier to separate and describe than those. Personally I like the Giddapahar a lot more but to be fair I think some of that relates to my own personal preference, related to how one takes that mild astringency. Then again that pineapple aspect was cool. I think I've picked up a preference for that AV2 general profile along the way, although I don't know what plant type the Jungpana is made from. There was a little on that AV2 plant type in this review but I don't feel like I ever did get to the bottom of that. 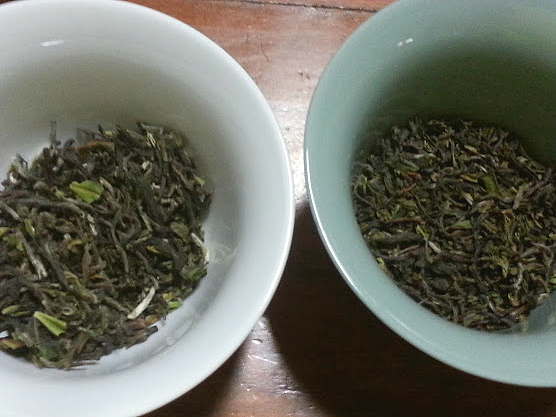 Av 2 clonal teas should only compared to teas of a similar clone. 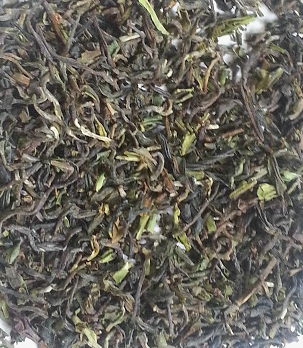 A slight astrigengy is preferred by traditional Darjeeling drinkers. 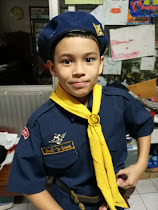 Good points! I think both of those were covered in the write-up, that comparing dis-similar teas is of limited usefulness, or maybe it's something I repeat so often I can't put it in every comparison post. The part about astringency being positive is definitely in this. For rating teas or comparing to determine relative quality of similar teas they would have to be identical, but for a reader to hear of differences across dis-similarities in type a comparison like this would work much better. A reviewer would then need to be clear that they aren't the same, and spell out that preference to version type is going to tilt the subjective part of evaluation as much or maybe even more than relative quality of teas, which I tried to make clear in this. Thanks to mention though; it might be possible for others to read past all that.